Tired of the same old meatballs? These chicken spinach meatballs are a spin on the traditional and perfect with all your favorite pasta dishes. There are some meals you can always count on to make everyone happy. At our house spaghetti night, taco night, and pizza night rotate frequently through our menu plan. For spaghetti night I usually make the same ground beef meatballs, so this week I decided to switch things up and try something new. 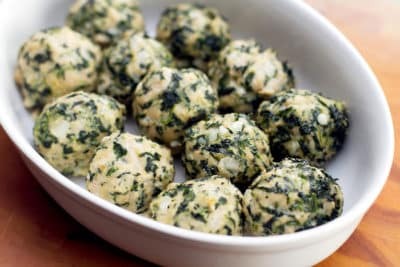 The new meatball features some of the usual suspects like basil, Parmesan cheese, and garlic, so the switch-up came in the form of ground chicken and spinach. 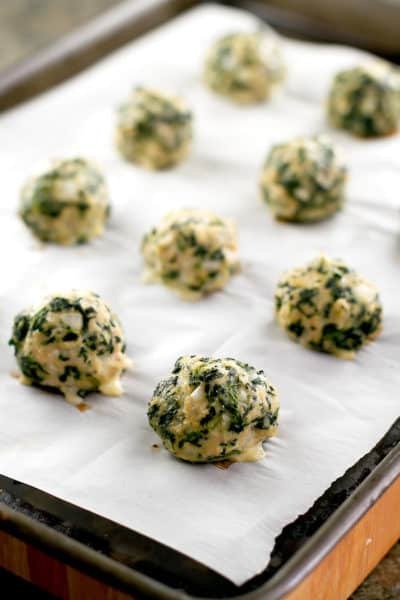 Using a pound of ground chicken and a 10-ounce box of frozen spinach I was able to make 18 decent sized meatballs– we had some for dinner and I froze the rest to have on hand for those busy days when dinner needs to be ready in a hurry. Since it was spaghetti night we had ours over, well, spaghetti. However, I think these would make great sandwiches, as well. Overall, the chicken spinach meatballs were a nice change from our old stand-by meatballs. These chicken meatballs are easy to make and full of flavor! In a large bowl mix all the ingredients together until just combined. Form the mixture into golf ball sized balls and place on a baking sheet coated with cooking spray or lined with parchment paper. Bake at 360 degrees for 25-30 minutes. For the spinach: Be sure to thaw completely and then wrap it in a clean dish towel to wring out all the excess moisture before chopping. Have you ever made these meatballs without breadcrumbs? or with a substitution? 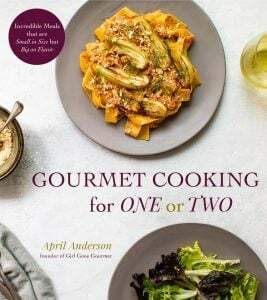 Hi Erin – I haven’t made these without breadcrumbs, so not sure how they would turn out. You could leave them out, but the meatballs might not be as tender. I haven’t tried cooking the onions first, but I don’t see why it wouldn’t work! 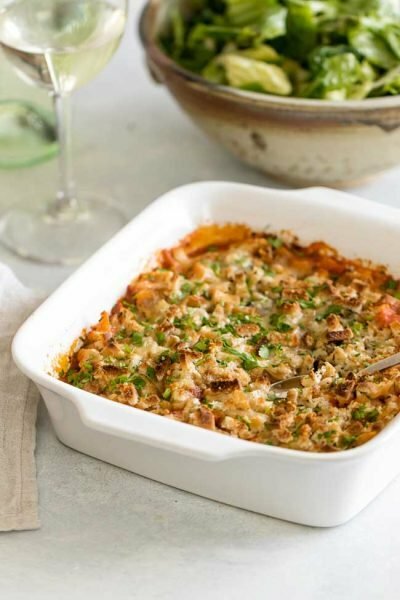 I love this twist on a classic dish! So much healthier and packed full of flavor! These little meatballs really switch things up! Love the recipe. BTW spaghetti, pizza and Taco Tuesday are the favorite nights at our house too! Can you use fresh spinsuch? Hi Julia, I haven’t tried this with fresh spinach, but I think it will work. You will need approximately 1 pound of fresh spinach to get the same amount as frozen. I think for it to work best you would need to cook it down first in a pan with a little oil and then let it cool before making the meatballs. Not sure how it will work if you just add the spinach to the meatballs raw. I love this recipe! Made it many times. I make a big batch of mixture & freeze portion sizes. I Make the meatballs on day I want them. I also have also only used fresh spinach. Chop it up a little bit to your liking. I notice one picture shows these in a tomato sauce. Is this a recipe or just a picture showing how they can be used? It looks delicious!! Hi Deana, the recipe is just for the meatballs, but they are delicious with tomato sauce (I just used my favorite jarred sauce for that photo). I made it and they came out awesome! Add Worcestershire sauce! I want to adapt this to a meatloaf (as a whole loaf or individual meatloaf ‘cupcakes’ how long would you suggest I cook this in an oven? I just made these for meal prep, they came out delicious! Thank you for the recipe. April, I love the delicious look of these healthy meatballs. 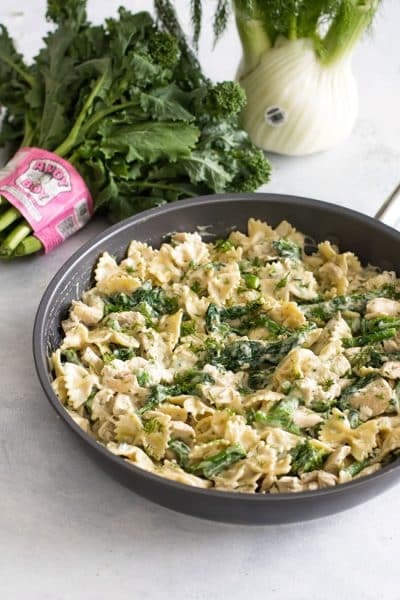 Spinach, chicken and cheese are great with spaghetti sauce. Nice work! These look so healthy and delicious, and that red sauce is so vibrant. YUM! 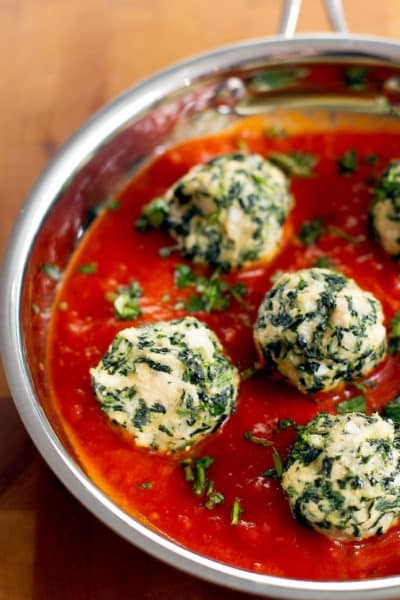 I have never made chicken meatballs and usually use a combination of pork and beef but these sound utterly delicious, the addition of spinach is inspired, love it! I’m definitely trying these! They sound and look delish! I love these! What a great alternative to beef meatballs. 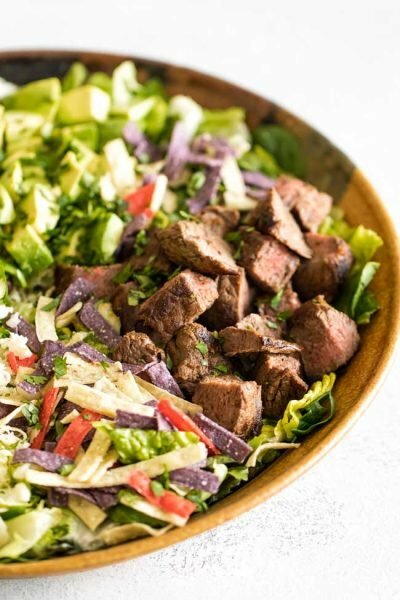 This recipe is perfect for my family as we don’t eat a lot of beef. 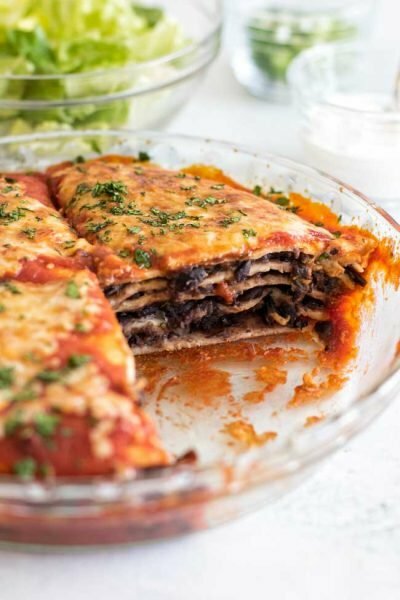 Definitely pinning this recipe to add to our meal plan! I hope you enjoy them, Chrissie! These sound and look amazing! I’ve never made chicken meatballs, but the combo sounds spectacular! My boyfriend would love them too! Yum!! Yummy! Spaghetti and meatball night! I love the change in the meatballs, I bet they were delicious!! These meatballs sound delicious, can’t wait to try them. I actually really want to try this, I cook a lot of chicken on week nights for my family and this would be a nice way to change things up. Yum! These are right up my alley! I love changing up the meat in a classic to make it new. What a great recipe. Thanks! So creative and it looks delicious! I love it when I come across great recipes! Today is a great day 🙂 If you don’t mind I’d love to direct our readers to your blog. Just add your choice of widget to this post and you’re all set! This looks really good! I just got some organic pepper and Himalayan sea salt from Sustainable Sourcing https://secure.sustainablesourcing.com and I think I’ll try them both out in this recipe over the weekend. Thanks for sharing! what a wonderful idea! 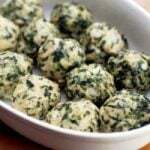 very creative and I love that you used spinach in the meatballs. Love it!! Your pictures make me want to dive right in! Excellent recipe! I love Spinach and Im going to try this! 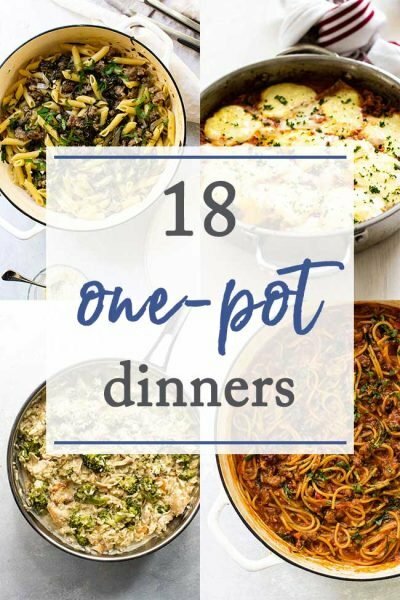 I look forward to making these with my daughter–this is a healthy weeknight dinner everyone at the table will enjoy. Coming from an Italian family, we also frequent meatballs in our menu. i will have to try this to switch things up! That’s a really nice change from a meatball to a chicken ball and they’re baked. Best of all, it sounds and looks really tastey without the added calories.